Barcelona are set to host Manchester United in the UEFA Champions League quarterfinals 2nd leg on Tuesday late night. 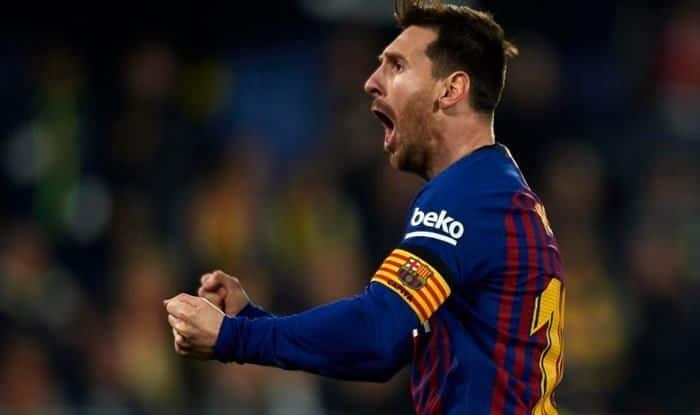 Having attained a one-nil victory in the first leg of the UEFA Champions League quarter-finals, Barcelona are set to host Manchester United in the second leg of the competition on Tuesday at the Camp Nou stadium. Fans of the English side will be optimistic considering the lead is only slender and inspired by their club’s famous comeback in the round-of-16 of the competition earlier against Paris Saint-Germain. Barcelona have all but sealed the La Liga title in Spain and all their focus will solely be on the Champions League. Their advantage in the initial leg came courtesy to an own-goal by Man United left-back Luke Shaw and they will aim to capitalise on the same. Forward Lionel Messi has been in scintillating form and is firing on all cylinders, the Red Devil defence will have to at the top of their game to contain his attacking play along with partner-in-crime, Luis Suarez – the latter absolutely loves scoring against United. It will be an European classic encounter when these two sides face each other in a bid for the semi-finals spot of the coveted Champions League. When will the Barcelona vs Manchester United match take place in the Champions League 2018-19? Where the Barcelona vs Manchester United match will be played in the Champions League 2018-19? The match between Barcelona vs Manchester United will be played at the Camp Nou Stadium. Which TV channel will broadcast the live coverage of Barcelona vs Manchester United match in Champions League 2018-19 in India? The Barcelona vs Manchester United match in the Champions League 2018-19 will be broadcasted live on Sony Ten Sports Network. Where can I catch the free online streaming of Barcelona vs Manchester United match in the Champions League 2018-19? The live streaming will be available on Jio TV and Sony LIV app.